Start the war in this multiplayer shooter game where players must survive with the help of their weapon. Unfold your weapon and squeeze the trigger every time you have an enemy in range. This fun game can be made from any device: Smartphone, tablet and PC. Dare and click to this exciting game, you must move with great caution to continue surviving the strong shootings of the street, do not lose sight of the snipers who camouflage themselves in the field. 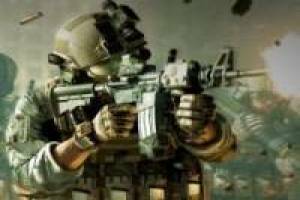 Enjoy the game Army Combat 3D, it's free, it's one of our war games we've selected.